The Internet is an integral part of our lives and an important and useful resource for us all. However, there are some risks and it is important that teachers, parents and pupils all work together to ensure its safe use. At Kimbolton we believe it is essential to educate pupils on e-safety issues; teaching them the appropriate behaviours and critical thinking skills to enable them to remain both safe and legal when using the internet and related technologies, in and beyond the context of the classroom. We have introduced iPads into our Senior School classrooms with each pupil owning their own device. The Prep School also has class sets for use when required. Why have we introduced iPads for pupils? It is not future technology. It is the present in terms of pupil experience of mobile phones, internet and personalised technology. It will be their future working/learning experience. iPads will help pupils organise, communicate, learn and study at home and in school. Individual access to technology is not something that should happen in a few rooms in a school. It should be for everyone, everywhere, anytime. iPads allow that. Pupils are used to having access to the internet at all times, in all places – school should not be the exception. Why would we not want pupils to have access to the greatest source of information ever assembled and study in their own innovative and personalised way? We need to make tablets a means of education for pupils not just entertainment. Pupils need to learn about safe, effective, educational use of this technology. 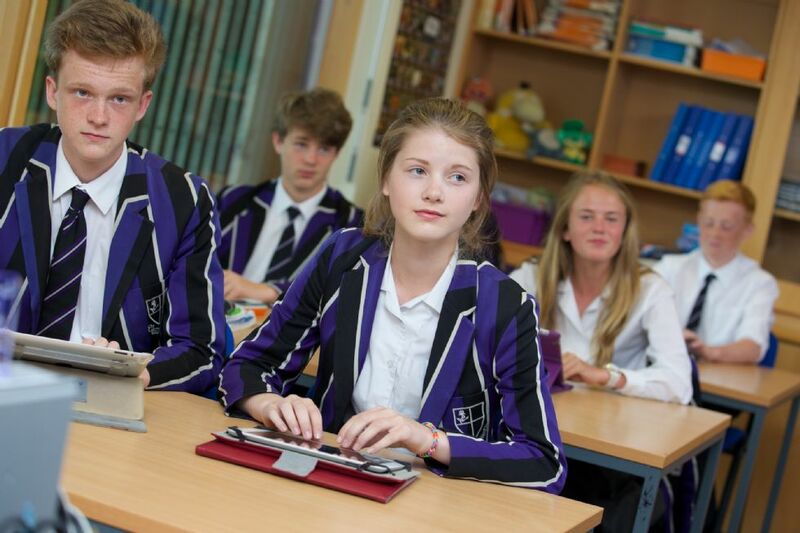 We want to make the educational experience for pupils at Kimbolton as varied, dynamic and stimulating as possible. What are iPads used for by pupils? Ease of internet access and immediate online research, video, resources etc. See our iPads guides and newsletters below for more information. Please click on the documents below to view and/or download.